Visiting Sonamarg and Dal Lake will get you outdoors. There's much more to do: admire the natural beauty at Indira Gandhi Tulip Garden, take in the spiritual surroundings of Durga Nag Temple, explore the activities along Nigeen Lake, and don't miss a visit to Shankaracharya Hill. For where to stay, ratings, maps, and more tourist information, use the Srinagar travel route builder app . 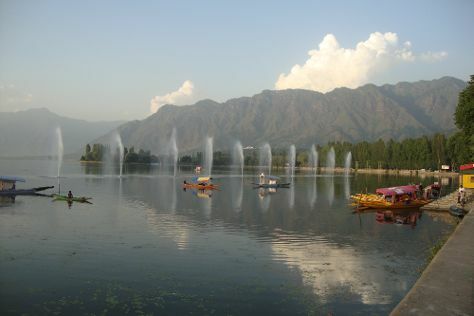 In April in Srinagar, expect temperatures between 19°C during the day and 13°C at night. Cap off your sightseeing on the 28th (Sun) early enough to travel back home.